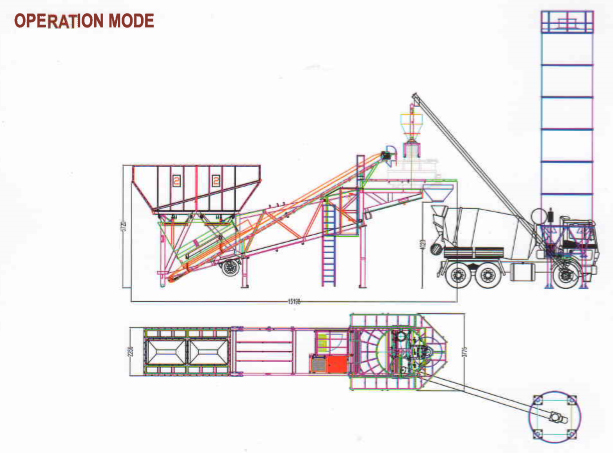 MSG 4.1.45 ON ROAD is an automated concrete batching plant for producing high quality mixed c concrete. 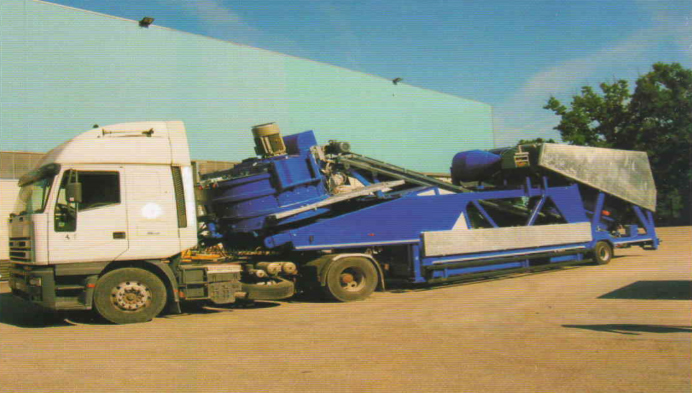 The main structure of this plant is the trailer, which acts as the transport system of the plant – itself making it easy to transport and assemble. The plant goes together using pinned connection with minimum nuts and bolts. Thee electrical and pneumatic connections are tested in the factory with the aim of guaranteeing maximum reliability of the whole system, The customer’s assembly crew are therefore required only to connect industrial plugs and connectors in order to get the concrete mixing plant working. Managing the plant automation and supervision is the most technologically advanced part of the system. The mixing takes place in a very short time and it produces up to 60 cu.m / hr. of the highest quality concrete. Absolute control of concrete quality for RMC as well as PRECAST Installation. The MSG series is equipped to provide excellent quality concrete required for RMC & PRECAST. 40 CU. M / hr. 60 CU. M / hr. AUTOMATIC WATER DOSING BY WATER METER 1 PULSE / LIT. Possibility of installing 4 other vibrators. – 1 system for collecting datas from the probes with readings of the moisture present in the extracted aggregates. Siilo in electro-welded sheet metal inforced to contain and store cement capacity 42 m3, including steel structure, steel pipes for pneumatic loading, anti-explosion safety valve, guillotine valve, flanges for inserting minimum and maximum limit switches, flange for installing silo top filter. Latest version personal computer with supervision software COMPUMAT for managing and checking the whole system. Equipment for checking the system from a distance composed of IP cameras installed on the mixer, aggregates extraction and dosage, with the possibility of seeing on the PC, palmtop Wi – Fi, remote computer and latest mobiles.